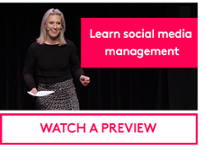 Considering you’ll most likely be paying for a job ad on SEEK or Gum Tree, why not throw some money at a creative recruitment video on Facebook and Instagram to see what happens! Start with a 15-second ad and watch it go viral. If it doesn't go to plan, it will at least build your brand awareness and drive new customers to your venue. With over 3 billion monthly active users of Facebook and Instagram globally, these platforms serve as a huge opportunity for you to reach the best candidates to recruit as your new hospitality staff. Facebook’s targeting functionality based on gender, location, age, and interests will ensure that that you get your ad in front of the most relevant audience, ensuring you only attract the best people to apply for your hospitality job opening. With video advertising taking off in the past few years, as seen in the launch of apps and features such as IGTV and Facebook Live, it may benefit your business to create a 15-second quirky commercial! We recommend including attention-grabbing visuals, a catchy jingle, and a compelling story to increase the likelihood that a candidate will remember your ad, potentially send in an application, and increase word-of-mouth. Sell your employer and business brand- make candidates want to work for you! Once you have your masterpiece ready, share it on Facebook and Youtube and throw a couple of $$ on it. 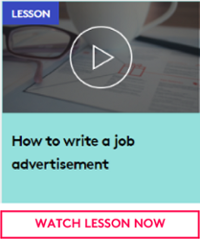 Pro Tip: Create an awesome landing page for the job ad, insert a link to your video advert, and watch the applications roll in! Make your ad as awesome and memorable as you can...you never know, it could go viral! Now remember, with a computer and a HD camera in your pocket (known as a smartphone) creating videos does not have to be an expensive activity. There are some really great video editing apps and tools you can download straight to your phone or use on your laptop like Shakr or iMovie. Okay this isn’t really that unique of an idea, but you probably haven’t tried incentivizing with donuts or a bonus. As mentioned above, social media is a great tool for discovering talent that may not be on the hunt for a new job, but may be attracted to your business when you pitch it to be exciting. The power of social sharing cannot be undervalued and will save you money on advertising. If you have just 5 of your staff share your job ad on Facebook, you’ve most likely increased the reach of the ad by at least 2000+ people. And they have a 25% higher retention rate than other hires. That’s a lot of compounded cost savings for your business if you think about the cost and time involved in recruitment, onboarding and training. One of the biggest factors that defines the service quality of your hospitality staff is their attitude. We understand that it’s hard to find amazing hospitality who have a great personality and killer skills. So, this next creative recruitment strategy might help you attract and recruit the best hospitality staff out there! Print special business cards for all of your current employees, with the business name, contact details, and the words “Now Hiring” on them. Ask all your employees to keep some of these cards wherever they go, and if they come across a hospitality worker slaying behind the bar, encourage them to hand out a card and let them know that your business is currently hiring superstar staff members. It doesn’t matter where you meet the them, if they made an impression, you should have them on your team! 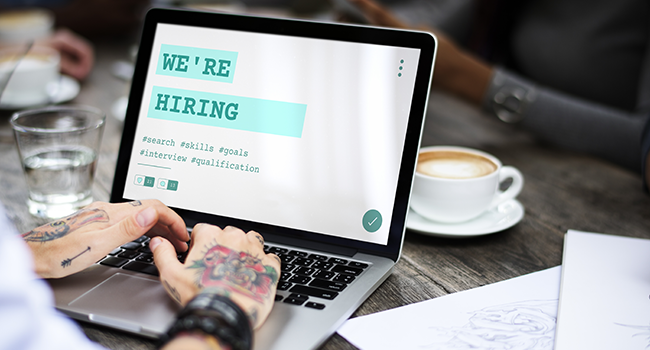 This strategy attracts a wide range of diverse candidates with the industry knowledge and experience that you’re looking for. And the best part is, you’ve already seen them in action, so there’s no real doubt that they can get the job done! It may surprise you that a lot Facebook groups are solely dedicated towards hospitality staff recruitment! We recommend searching for and joining relevant recruitment groups specific to your region. Look out for ones with a high number of members and active discussions! Now, the key to finding awesome hospitality staff on these groups, is being an active user yourself. This means that you not only troll the group discussions to find people looking for jobs, but also post your own job ads- perhaps even make that 15-second ad and post it on the group to attract the best candidates! Don’t have time to recruit creatively? Sidekicker gives businesses access to a hospitality workforce of hourly workers at the click of a button, allowing you to view profiles of hospitality workers, viewing their ratings and reviews before hiring. Taking care of all of the recruitment, payroll and admin means that you can seamlessly scale up your workforce for seasonal events or general demand with high quality hospitality staff without the hassle of recruitment drives. 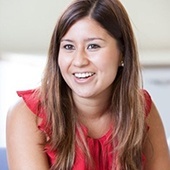 Steph Drilon is the Head of Supply at Sidekicker, responsible for recruiting over 500 new hospitality staff every month and managing a workforce of over 11,000 staff. Sidekicker is an on-demand staffing platform, using technology to connect businesses with ANZ’s best community of skilled hourly workers. Whether you need a chef for a few days or 300 F&B staff for an event, Sidekicker makes the entire process easier, faster, and more cost effective.